Densho is a nonprofit organization located in Seattle, Washington whose mission is to preserve the testimonies of Japanese Americans that were unjustly incarcerated during WWII. 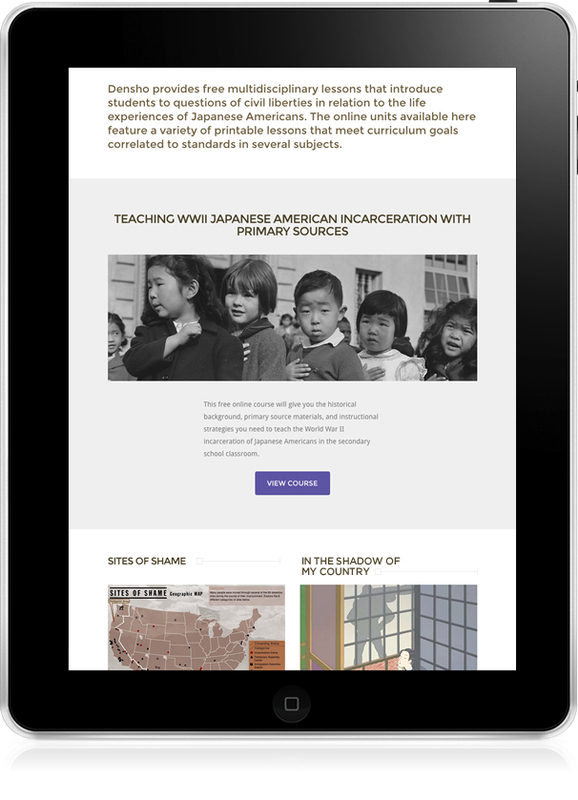 A responsive site was designed to tell the story of Japanese American incarceration of WWII as well as house Densho’s archives, robust encyclopedia and educational resources to inspire action for equality. Designed by Shawn Meek in collaboration with Causality.